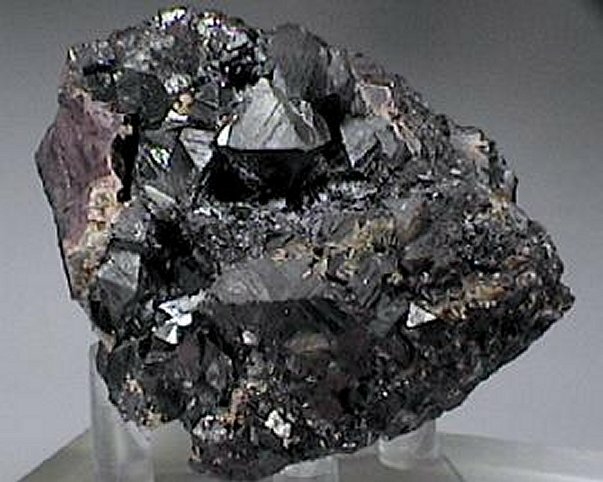 Comments: Black hausmannite crystals with minor brucite. Location: Wessels Mine, Kalahari, South Africa. Scale: 6.5 x 6 cm.